Great Missenden was the home of Roald Dahl, the world famous writer of children’s books, including “Charlie and the Chocolate Factory”. It is little wonder Dahl chose this beautiful village as his home for the last 36 years of his life – located in the heart of the Chiltern Hills, an AONB (Area of Outstanding Natural Beauty) the village features fascinating old churches, lush meadows, plenty of woodlands to enjoy walks, and ancient winding streets with some fabulous old world pubs and shops. 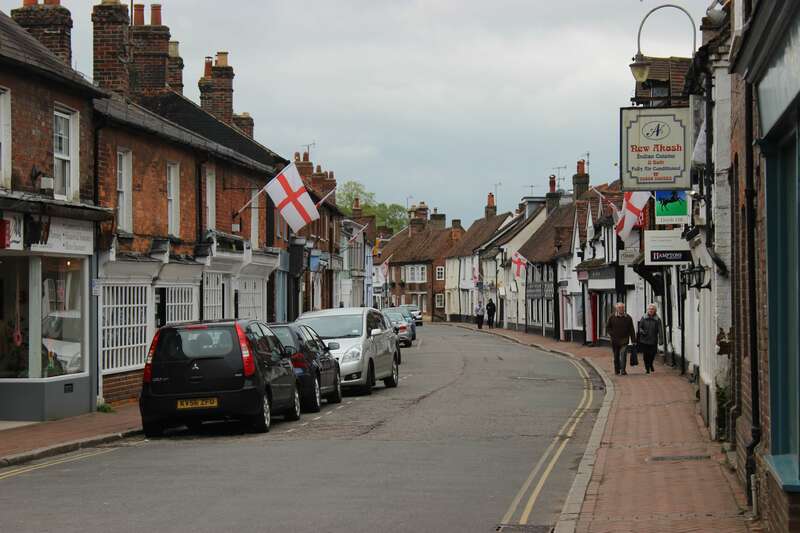 Considered a very affluent town and desirable for parents keen to get their children into some of the excellent grammar schools in the area, Great Missenden currently has a population of around 2000. Not only does the village of Great Missenden frequently make it into the top three in “Best Places to Live in the UK” style lists, it also enjoys a very desirable location for commuters, as it is within easy reach of central London. The journey time by train to London’s Marylebone Station is 46 minutes, with four trains leaving every hour during peaks hours, and two an hour off-peak. Great Missenden furthermore offers easy access to the M25 and the A413. In the centre of the village there are much-coveted cottage conversions dating back to the 19th century. With just two or three bedrooms, these properties have a value of around £525,000. On the outskirts of the town, you can find later developments, consisting of semis and detached housing, which sell for around £325,000 upwards. For those looking for something grander, if your budget allows, you could opt for an opulent Edwardian house set in its own grounds for upwards of £1m in Great Missenden. If you would like a couple of acres surrounding your property, expect to pay between £2 and £3m in this much sought after part of the country. The average sold property price in Great Missenden is £712,827, so if you need more living space, moving to a larger property in this town is an expensive business. It makes far more sense to expand the living space in your current home, and the most straightforward method of doing this is with a loft conversion. Why Us for Your Great Missenden Loft Conversion? During the best part of 30 years, we have converted many lofts in Buckinghamshire, providing our clients with that much-needed extra living space. Many of these clients came to us after a referral by a previous client, which shows us we are doing a stellar job. Because we specialise in converting lofts, rather than classing ourselves as builders, we are able to do every part of the conversion ourselves – from drawing up the original plans to plumbing and electrical installations. No part of the work is outsourced, we have in-house experts who can take care of every detail, so you can be sure our high standards and strict work ethic is always maintained. We have converted many lofts in Great Missenden, and are very knowledgeable when it comes to local planning regulations. If necessary, we can deal with any required paperwork on your behalf. A loft conversion in a Buckinghamshire home will not only provide living space, it will also increase the value of the house, giving you a solid return on investment. Fill out our form, or call 0800 881 8194 and we will arrange a time to perform a loft survey at your convenience. When we find out exactly what you are expecting to gain from your conversion, we can advise you on the best type of extension, and give you a no-obligation free quote.